First, in a small pot cook the macaroni noodles according to their packaging instructions until al dente. Then strain the pasta, run it under cold water to stop the cooking process, & set to the side for later use. While the pasta is cooking melt 1 tablespoon of butter & brown 3 tablespoons of flour at medium heat in a large pot, continually whisking for about 1 minute so that it doesn’t burn. Then slowly whisk in 1 cup vegetable broth, 1 cup half & half, & 1 cup milk & add 1 cup chopped broccoli to the soup, along with all of the seasonings – 1/2 teaspoon salt, 1/4 teaspoon pepper, 1/4 teaspoon dried basil, & 1/4 teaspoon crushed red pepper. Let the soup cook until the broccoli is tender, about 5-10 minutes at medium heat, then add the cooked macaroni. Turn the heat down to low & add the cheese -1/2 cup shredded Colby cheese, 1/4 cup extra sharp white cheddar cheese, & 1/4 cup extra sharp yellow cheddar. Let simmer on low for 5-10 minutes until you are ready to eat. 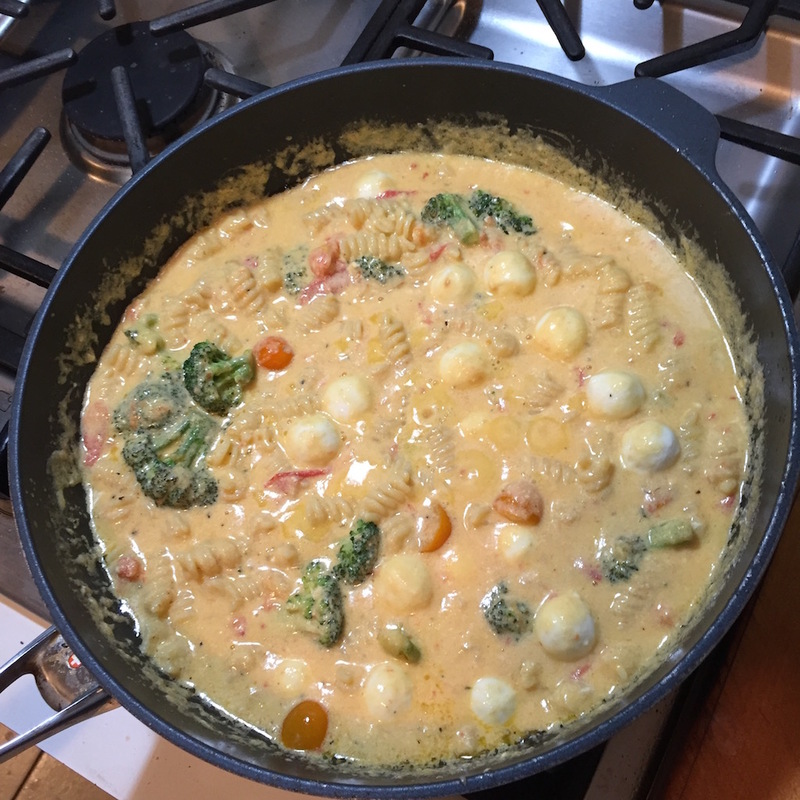 Serve your Macaroni & Cheese Soup hot topped with extra cheese or a sprinkling of fresh steamed broccoli!